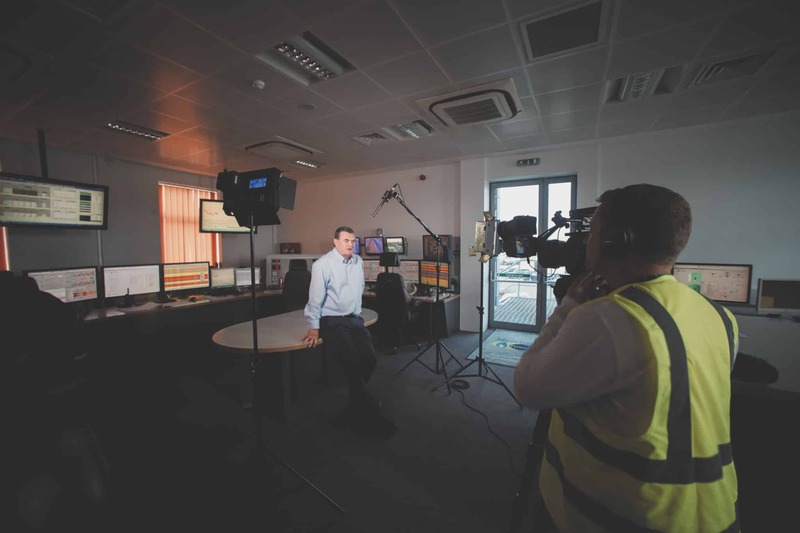 Corporate video production is an area our team is exceptionally knowledgeable in; We always create a relaxed and comfortable atmosphere for our interviewees to feel entirely at ease. Discussing the different talking points and key messages you’d like to translate before filming ensures the video production process runs smoothly. Our preparation process involves us gaining an understanding of your company and your target audience; This allows us to tailor each production to align with your requirements. Our production team are always happy to discuss the type of video that would best suit your brand, to create a video that delivers your essential messages in the most effective way possible. We work with you to understand your business clearly to help us shape the questions of the interview. We take time to word questions for the interviewee carefully to keep them focused on talking about what matters. Lastly, we use our highly professional video production skills to engage the audience. Our sole aim is to produce an interview video which truly reflects your values and your business. At the same time excites and attracts viewers to your business. We’ve been producing interview videos for many years; we know what works. We also know how to get the most out of your interviewee during filming. We will make the filming fun and relaxing experience to help them get their thoughts clear, focusing them on speaking about what matters. Our experienced post-production crew will select the very best parts of your interview and stitch them together to create your video. Our team always go the extra mile to colour grade footage and fine-tune audio recordings to get a professional, high-production value film. We can discuss the different options in terms of a straight interview, B-roll filming (inserts, relevant cutaway footage) or even stock/image & animation possibilities, our process ensures that our interviewees come across concise, articulate and professional every time. We’ll bring you face to face with your audience! Perhaps your an independent retailer looking to target new customers or you want to share a customer testimonial of a positive experience, or you’re a CEO who wants an interview for your company’s homepage. These are all talking head videos that could benefit your company or organisation. Talking head video production is a low-cost, simple and effective way to deliver your message to an online audience, increasing credibility and authenticity that other traditional media mediums aren’t able to achieve.